KS2 enjoyed an afternoon using 2CODEDIY on the Ipads. The children loved working across the age range, developing their games. Computing enriches, modernises and supports all aspects of our school’s curriculum. Children’s learning is made more rewarding and inspirational by using ICT. We believe children’s confidence and progress in their computing skills is essential for them to maximise their learning in the curriculum and to prepare them for the challenge of a rapidly developing and changing technological world. At Cookham Dean Primary School we want both staff and pupils to be confident and competent in the use of computers in all areas of the curriculum. All teachers will have resources, knowledge and enthusiasm to support their teaching. Computing will be taught as a discrete topic. Pupils will have a networked technology infrastructure which ensures access in each class and they will be able to use these skills to support their learning in any teaching area throughout the school. We will use our virtual learning environment (Purple Mash) to support pupils’ learning away from school. Children will encourage their peers through our Computer Ranger scheme. 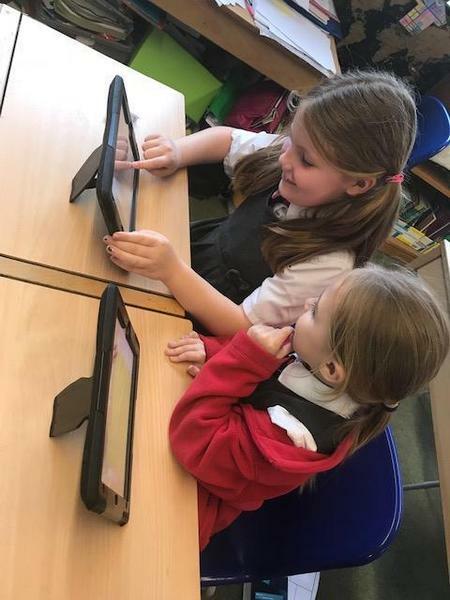 We feel that technology can be used to make learning both more enjoyable and more effective and that pupils and staff will benefit through learning with technology. We aim to keep pace with educational developments in this area and have a commitment to teachers having the necessary tools e.g. laptops and interactive whiteboards and training to do their jobs effectively. To try and help parents with the fast moving and changing world of internet and social media we've suggested a few internet sites on the bottom of this page which are fantastic resources, They contain information on different types of social media and how to help keep children safe. Childnet also produce a leaflet for parents which you can download here. .
Mathletics is a multi-award winning learning resource that encourages students and rewards results – hugely popular with students, educators and parents alike. 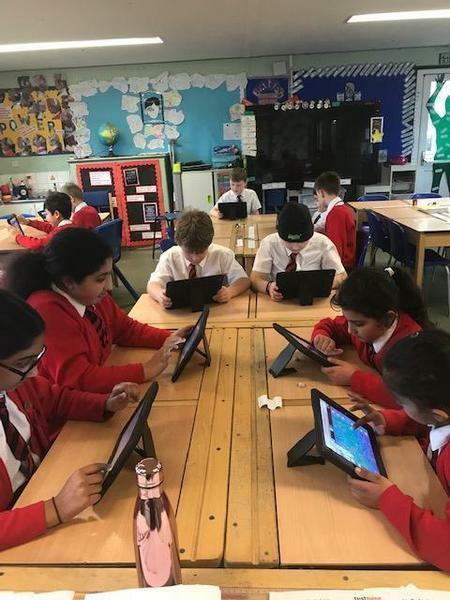 Our Year sixes have really enjoyed using the Mathletics Learning programme so much so that we have decided to roll it out across the school. Look out for your child's password & username coming home soon. We are currently having a new server built to enable the children to have their own space for saved work and to access a full range of software more efficiently. As a result of this each child will be issued with a new log in and password, please try to help your child to remember these. Our new Purple Mash Learning Platform This is a space where children can access a full range of programs and tasks to enhance their curriculum. Each child has their own purple mash log in.